Utter chaos. Disaster. A national act of self-harm. All these terms have been used by leading scientists to describe the state of the United Kingdom’s plans to leave the European Union. Scientists are rarely so sharp tongued. But their words capture just a fraction of the fury and frustration that many people feel at British politicians’ mishandling of the Brexit process and their cavalier game of brinkmanship with the country’s future. 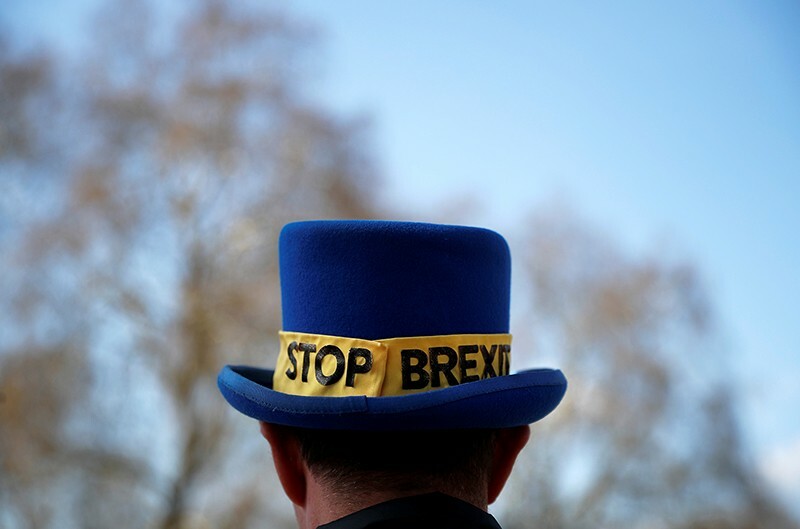 As Nature goes to press, a no-deal Brexit is set for 12 April, unless parliamentarians can convince the EU to grant an extension. A no-deal Brexit could be catastrophic for research. A timely reminder of what’s at stake came on 28 March, when UK-based scientists once again won the largest share of the prestigious European Research Council advanced grants, claiming more than 21% of the awards and €112 million (US$126 million) in total. A no-deal exit would instantly sever the United Kingdom from the scheme. Everyday research would take a hit as supplies, clinical trials, data collection and travel suffer disruption. Under almost any form of Brexit, science will be weakened or the United Kingdom’s influence diminished. UK access to EU research funding schemes is far from guaranteed, and additional barriers to immigration seem inevitable. The agonizing, prolonged uncertainty and the hostile atmosphere some overseas researchers say they face is already affecting recruitment and damaging collaborations. Ultimately, the youngest researchers will suffer most from reduced opportunities. The UK government has tried to soften the blow: it has agreed to replace existing EU grants and those won before 2021, and is consulting on how it could create alternative domestic funding schemes. But money alone will not stop the United Kingdom’s scientific eminence from ebbing away — it already is. The country’s strong position in research rests on its reputation, openness, collaborations and ability to attract the world’s best scientists, all of which Brexit will undermine. More broadly, communities in the United Kingdom remain polarized and vital issues such as health, education and social welfare are being neglected. Before the 2016 referendum, Nature — like the vast majority of scientists — said that staying in the European Union was better for science, that cooperation between EU states had helped Europe to become a research powerhouse and that disrupting this was misguided. We still firmly hold that view. The political situation is changing so quickly that even the most seasoned political analyst cannot predict what will happen next. Amid the chaos, researchers can be astute observers, clear thinkers, calm investigators and rational speakers. They should continue to use those qualities, not only to oppose Brexit in any form that will harm science, but to look beyond it and repair the damage that has been done to research, relationships and communities.